It’s October, which means it’s also Breast Cancer Awareness month. While my family has not experienced this scary cancer, there are certainly plenty of friends and acquaintances of ours that have dealt with this devastating diagnosis. Today, I’m teaming up with a few other blogging buddies to show our support for women dealing with breast cancer. 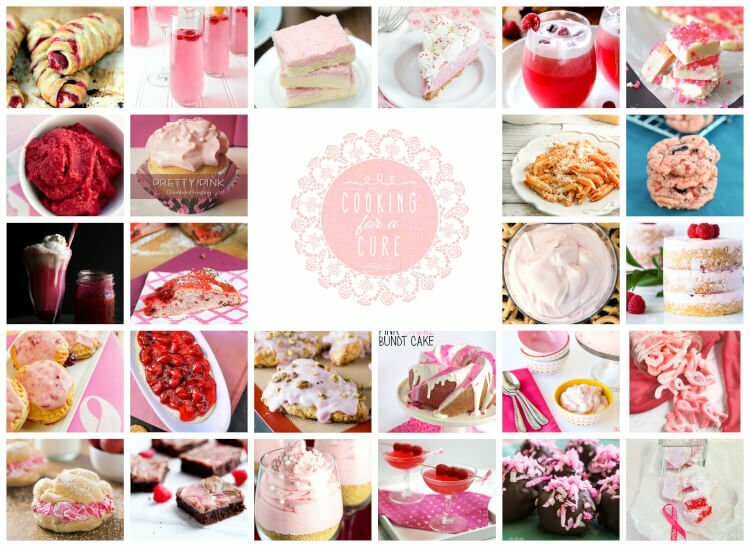 Every recipe is pink! While we can’t always donate large sums of money to help fund breast cancer research, we can show support in other ways. Maybe it’s taking care of the kids while a friend goes to another doctor’s appointment, or bringing over a meal to your sister who’s too sick to cook for her family. 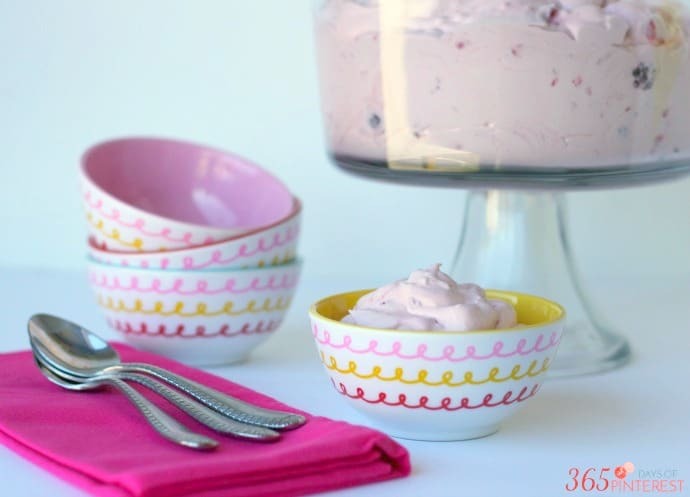 This Berry Cheesecake Fluff is a simple dessert or side dish to throw together and bring to someone who needs a little extra encouragement. Frozen berry medley 20-24 oz. Pull frozen berries out of the freezer and allow to thaw for 15-20 minutes. 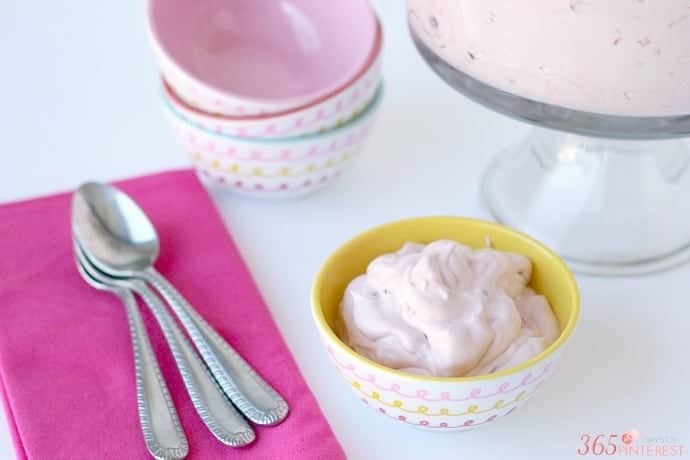 Mix berries and yogurt in a large bowl. The berries will start to turn the yogurt pink. 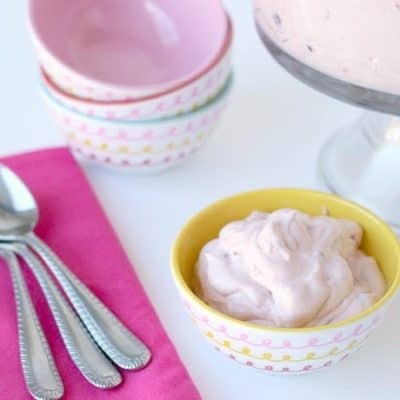 Sprinkle cheesecake pudding mix over the berries and yogurt and mix well. Once thoroughly combined, fold in Cool Whip. This is the prettiest collection! I just love all the shades of pink. Be sure to check out the links below for each one of these great recipes.